Educator Voices | A place to share and celebrate how we are pushing the boundaries, shaking up the system and challenging the status quo! How do you track growth? How do you know where your learners are at and their next steps? How do you communicate this to your learners? Their parent(s)/guardian(s)? What do you assess? How is it tracked? 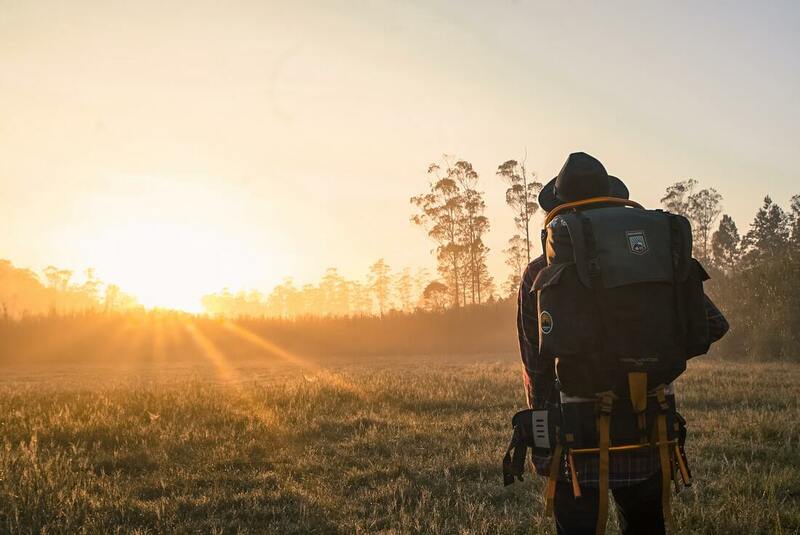 In this post, I hope to elucidate what I do, which looks fairly similar amongst my colleagues, yet with some nuanced perspectives and ideas to make it their own. In other words, it is “a way”, not “the way”. We, in Studio 5, don’t believe in assigning numbers or grades to students; there’s a significant amount of evidenceabout their lack of efficacy towards motivating students to learn. Thus, we believe in advising learners towards becoming intrinsically motivated in what they want to learn about (i.e. placing importance on learning how to learn). We value developing lifelong authentic skills over anything else. 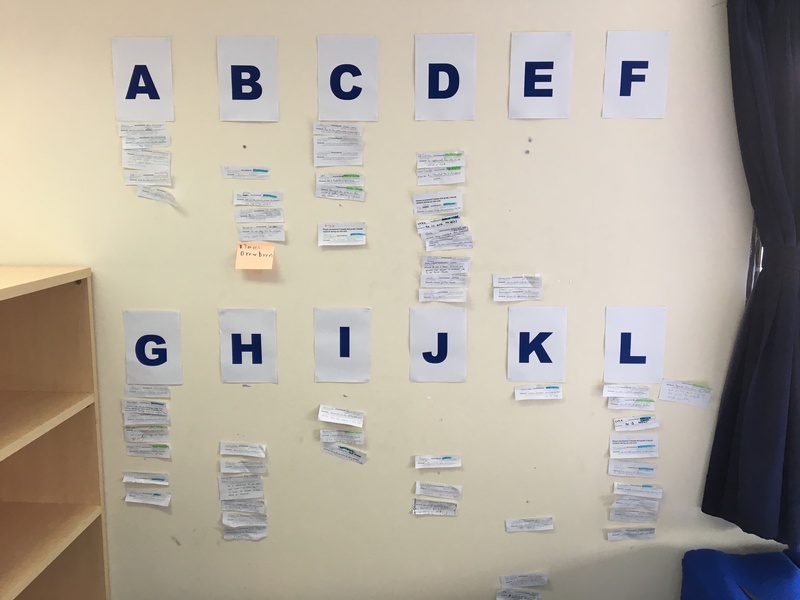 Since our studio model operates within the context of the IB’s PYP, the Enhanced Approaches to Learning (AtLs) make a lot of sense to use as our assessment vehicle. First, they were just redeveloped and introduced this year in the enhancements to the PYP; this translates to longer-term stability. 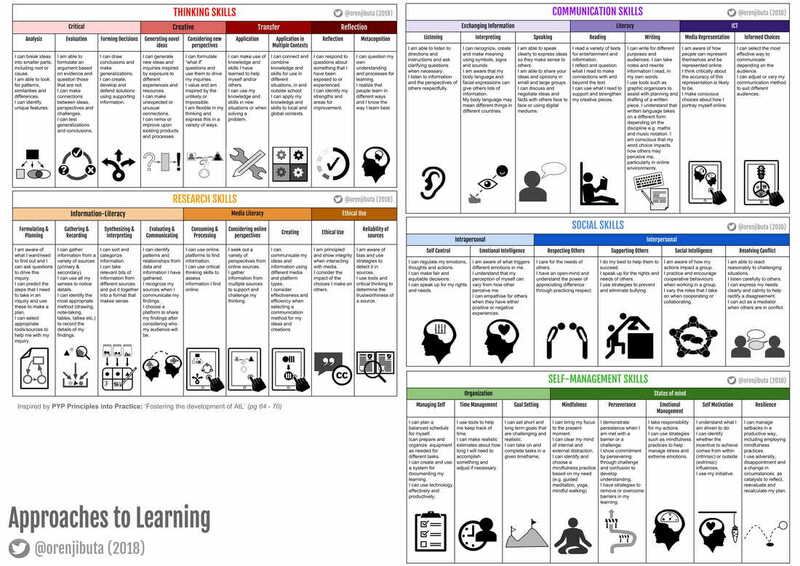 In addition, the AtLs are present (with growing complexity) throughout the MYP and DP frameworks of the IB, therefore adding carry-over in the continuum of a learner’s journey. 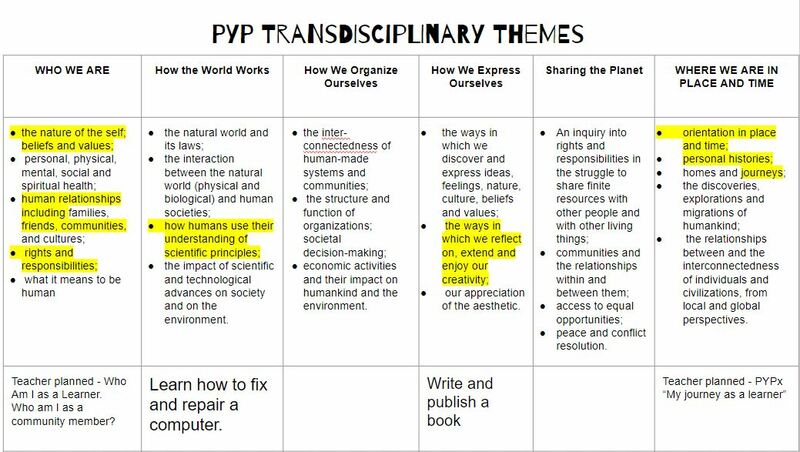 These ideals in what we value stem from the Learning and teaching section of the enhanced PYP documentation. 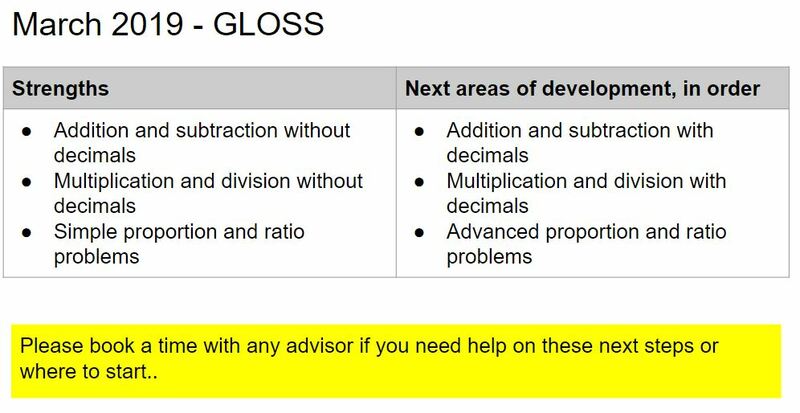 Any educator that currently works with these AtLs knows that they are not easy to synthesize and interpret from the PYP documentation alone. To simplify these AtLs for all stakeholders in our community, we use a modified interpretation of the skills in infographic form developed by a former advisor, Suzanne Kitto (@OrenjiButa). Instead of grades, we use a Studio 5 designed continuum called the Gradual Increase in Independence (GII). Ultimately, our goal is for the kids to lead, or at least be independent in relation to their approaches to learning (AtLs). More metaphorically speaking, we want them to be in the driver’s seat of their learning journey. Over the course of the year, we, as an entire school, have a year long inquiry into “Who we are” as learners, individuals and as a community. Our exhibition (PYPx) lends itself nicely to “Where we are in place and time” for our children to reflect on their culmination of learning within the PYP before embarking into the MYP. This leaves the rest of the year open in terms of our Programme of Inquiry (PoI) to allow the children to set sail in three different Self Directed Units of Inquiry (SDUoIs). I know you may think that my math is wrong here, but SDUoIs tend to be trans-transdisciplinary (yes, we made that one up), leaving lots of room for balanced, horizontal articulation in our grade level. 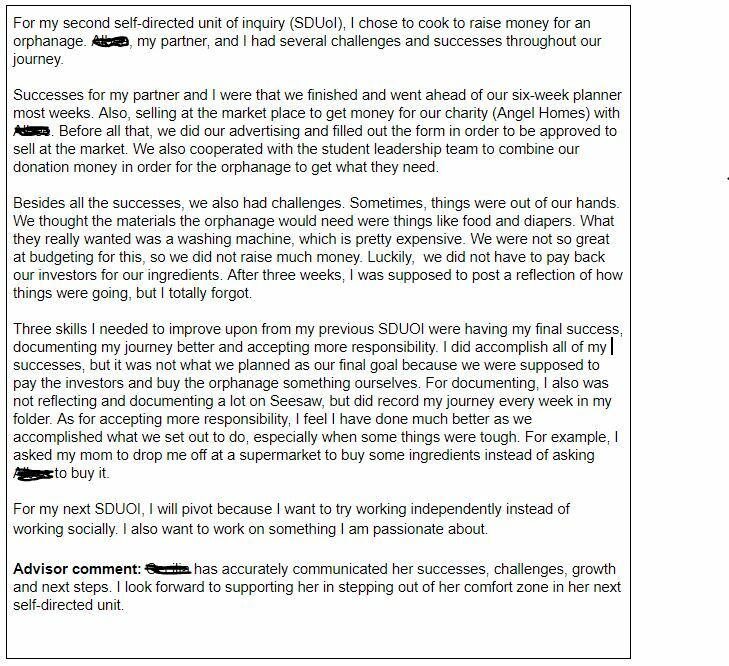 ​As advisors, we assist our learners in backwards planning their SDUoIs on six week timelines. During week seven, we host mini-exhibitions (or as we like to call, a “Take it Public” – otherwise known as TIP) in between SDUoI cycles. We give our children the agency in how they choose to TIP, which I have blogged about here, and so has my colleague, Taryn, here. Note that WWA lasts year long, but we spend a very concentrated focus in the first term. As mentioned above, many of the SDUoIs that the children plan, tend to hit several transdisciplinary themes. We get our students to track this in hyper-doc assessment folders that are shared with their parents and advisors. The aim of this is keeping the transparency window of communication and support open. 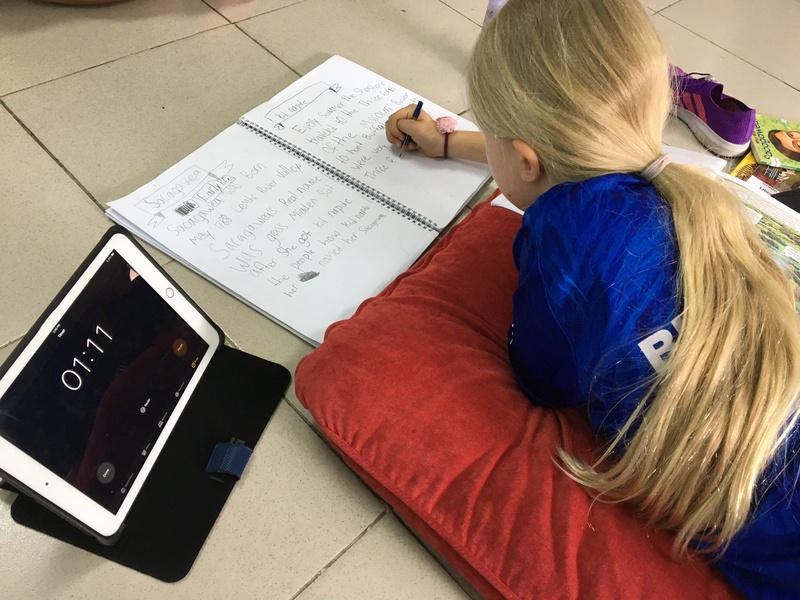 By planning for the whole year Who we are unit and having our PYPx as Where we are in place and time, this offers the learners flexibility to either “Pivot or Persevere” in their self-directed inquiries in terms of the time allotted for each inquiry. We keep the traditional six week plan as it gives our learners an adequate amount of time to inquire deeply into something they are passionate about. In addition, from a time management perspective, it gives an authentic deadline to prepare for in regards to taking their learning public. Some inquiries do need longer than six weeks and/or continue to motivate children to persevere. When that happens, we, as advisors, help our learners to continue to step further out of their comfort zone. Students, with the help of advisors, track their themes. This is visible to all stakeholders in their shared assessment folders. 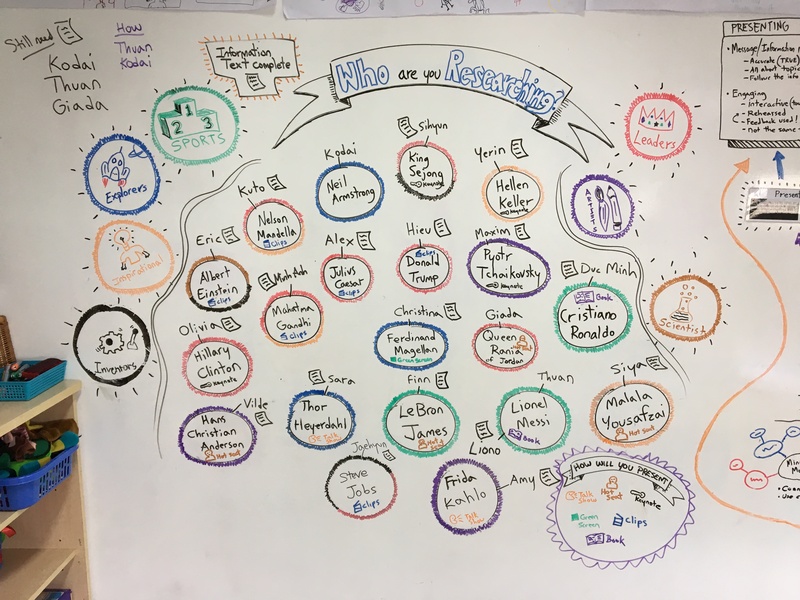 To help our inspire our learners, we help them in finding their autonomy, mastery and purpose (ultimately their motivation), stemming from Daniel Pink’s work in his book Drive. This, less than two minute, video sums up Pink’s work on motivation nicely. At the beginning and throughout the year, we, as advisors, offer a variety of workshops ranging from writing stories, cooking, photography, dance and more. We encourage our kids to do the same; some run workshops on slime making, Scratch tutorials and more. All of this aids our learners in finding their intrinsic motivation for what they are passionate to learn more about. 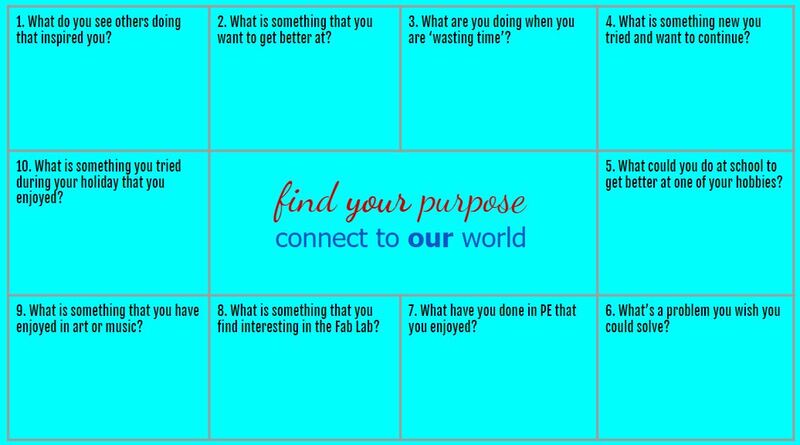 After a purpose is set, the final piece of the puzzle is a Simon Sinek fueled “Why, How and What” purpose planner. 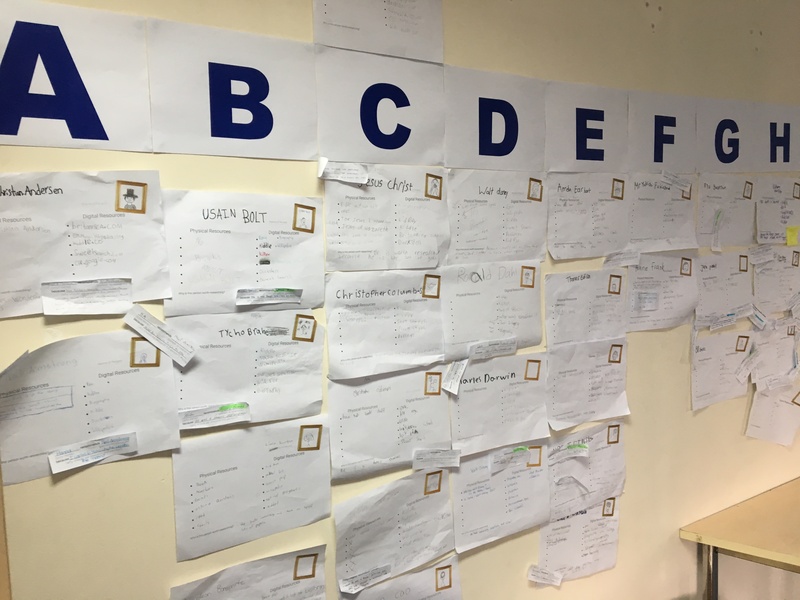 These planners help with initial conferencing to push our learners out of their comfort zones and also help connect them with the wider community (my colleague Taryn has documented this in great detail here). After all the pre-planning and reorganization of learning spaces to reflect the context of the inquiries, the wheels are in motion! Children have their specific weekly goals for their SDUoIs from their six week backwards planners, of which they expand upon in greater detail in their weekly goals. In my advisory, learners set four SMART weekly goals on Monday morning. The first is a personal goal which can be anything in their life. Children tend to balance out their screen-time, get better at their mindfulness practice, or aim to be better humans in their connections with others. The second goal is a communication goal, related to any AtL within that skill family. Third is a math goal and the last is their weekly SDUoI goal. A personal goal of being more balanced with screen time. Documented in the learner’s digital portfolio. 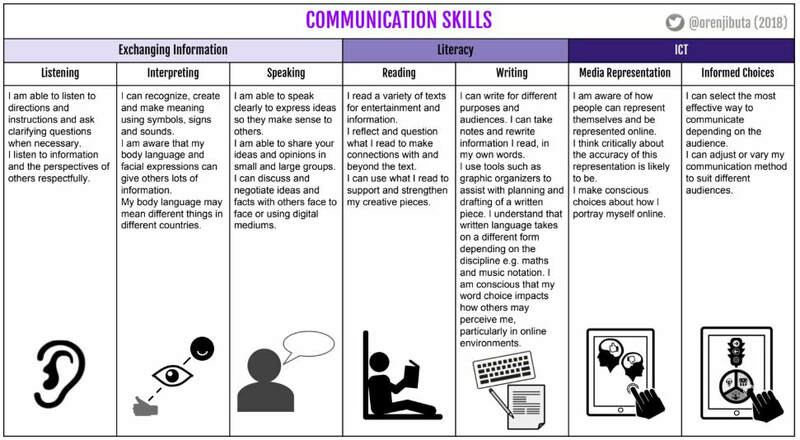 By the end of the week, the expectation of my learners is that they have a face-to-face conference showing the documentation of their SDUoI, math and communications skills goals. 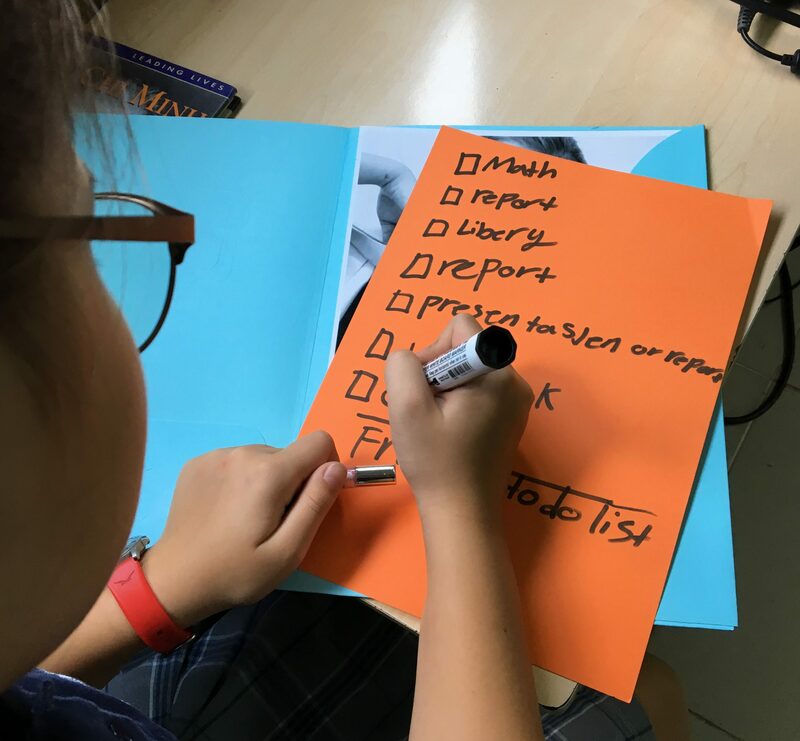 To help with the transparency piece with parents, children post their set goals on Monday to their portfolios, then also reflect mid-week on the progress of their achievement. In terms of the weekly timetable, we keep things open, save single subject pullouts. Each day revolves around the PYP’s action cycle of “Choose-Act-Reflect” (commonly known as CAR time). The first and last block of each day, I have my specific learners that are under my pastoral care. 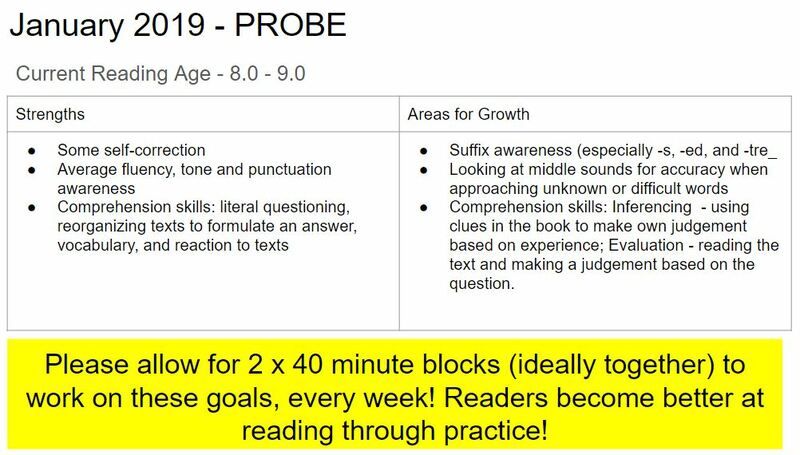 However, during the middle blocks, these are the “ACT” blocks where our learners connect with peer and experts all around our community. Advisors are all diversified in their expertise and are working with a wide range of children, Studio wide, throughout these act times, not just the ones in their advisory. The only expectation is that their homeroom, or CAR time, advisor knows where they are and that an adult is in the area to supervise them wherever they are. Morning CAR blocks allow for check-in, choosing and planning their day and setting goals for the week (i.e. “CHOOSE” blocks). The last period of the day involves reflection, documentation and thinking about next steps (i.e. “REFLECT” blocks). Each learner “chooses” how they will “act” out their day in the morning. Then “reflects” at the day’s end and thinks about next steps for the following day. Where do the math and communication skill goals come from? Probably the question that we’re asked most often. Unlike any other school, we spend time to get to know our learners. We use diagnostic tools in order to garner that information through interviews like Probe, Gloss and looking at writing samples. That data gets analyzed, broken down into communicable and actionable next steps, then verbally communicated to the learner. This information also gets shared and put into their assessment folder, which is their “one-stop shop” hyperdoc platform that is shared with parents with commenting rights. Aside from these diagnostics, we also get our students to notice, name and document next steps when they arise. This could be when they notice a pattern when reading through research and/or pleasure. Or it could be when they are writing their daily reflections, their own end of term evaluations for reporting, or in their documentation. Sometimes it may be through the feedback they get after taking it public, or something they noticed themselves. As an advisor, I’m always looking to assist my learners with the notice and naming of this real-time, authentic feedback in the context of whatever they may be doing. Through open-ended questions, it further develops my learner’s metacognition to achieve that end goal — to be the driver’s of their own learning journey. 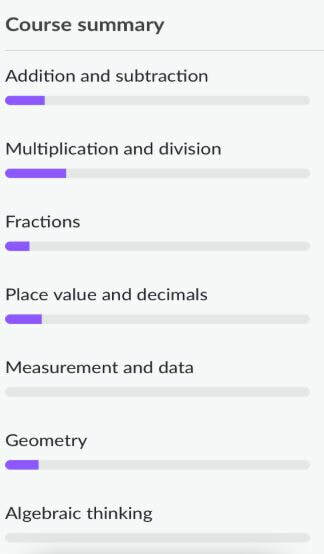 More specifically for maths, we also triangulate the data for next steps through the diagnostic grade-level assessments on Khan academy and get learners to save the results by concept area for actionable next steps. Another data point is through the notice and naming within the context of their self-directed units. It may be looking at symmetry through a photographic lens, measurement when building things up in our FabLab, and/or determining profits from entrepreneurial sales during market days and determining the percentage necessary to donate to a pre-determined charitable organization. Neural bridges are richly built when constructed in authentic contexts. 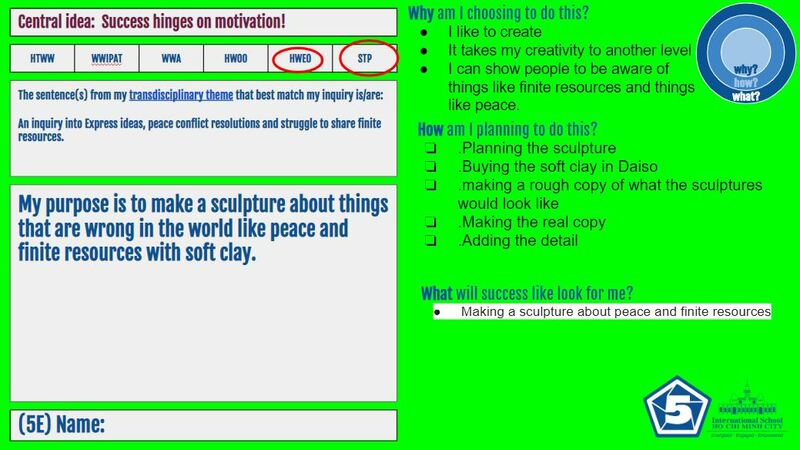 Mentioned above, learners set four goals weekly, three of which are documented and accessible via their assessment folder (their personal goal is reflected upon in their digital portfolio). All three goals (SDUoI, Communications Skill and Math) all follow a similar process: Stated goal, successes, challenges and next steps. The expectation is to be media rich in the documentation and the students are generally their best judges as to when they’ve achieved mastery, or persevered long enough, on a particular goal. ​Below are examples of each of these three documentation goal areas. As for whole Studio summatives, all advisors do some variety of one at the end of each SDUoI cycle, but I’d argue that it’s more formative if anything as it is used to inform the next self-directed unit. The kiddos self reflect on their motivation, use of experts, get feedback from advisors and parents, then use all of this to inform how they should continue to push themselves further on their next endeavor. Because of the very nature of the personalized learning within the studio, children tend to summatively assess themselves actively and often, with advisor conferencing, when they feel they have persevered long enough on a goal. They have the documentation of their journey to prove it. Thus, there are summative assessments taking place, just on different timelines and in smaller doses. How does all of the assessment mentioned above get communicated? As mentioned above, the “one-stop-shop” hyperdoc assessment folder is shared with the parents at the beginning of the year. This keeps the transparency and communication window with parents entirely open from week one. In addition, children reflect daily in their learning portfolio, which for most tends to be Seesaw. Furthermore, several three-way conferences are held throughout the year. At each of these times, we tend to focus on different aspects of the AtLs. 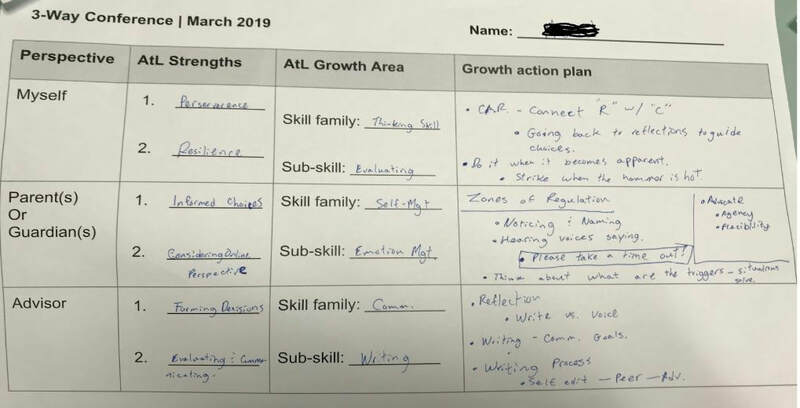 In our first conference, after term one, we looked solely at the self-management AtL family as it linked in nicely to our Who we are inquiry, specifically, who the children are as a learner (note that the enhanced AtLs were not yet released). Our first 3-way conference springboard to conversation and future goal setting. Note: These were the old AtLs. For our most recent three-way conference, we used the enhanced AtLs to reflect on our growth up until that point. Each stakeholder chose two sub-skill strengths and growth areas, respectively. 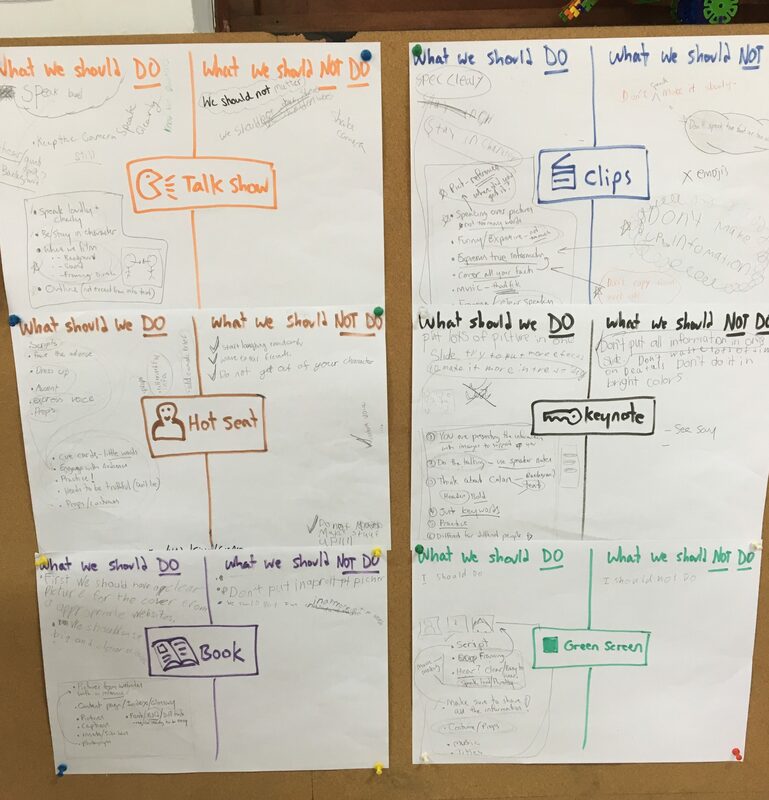 Then we discussed actionable steps together that our learners can use when setting goals within the Studio as well as support on how these goals can be achieved at home. Our mid-way 3-way conference springboard for looking at growth from the beginning of the year, as well as setting goals for the remainder. Enhanced AtLs incorporated. Finally, Studio 5 learners write their own evaluation of learning (EoL). 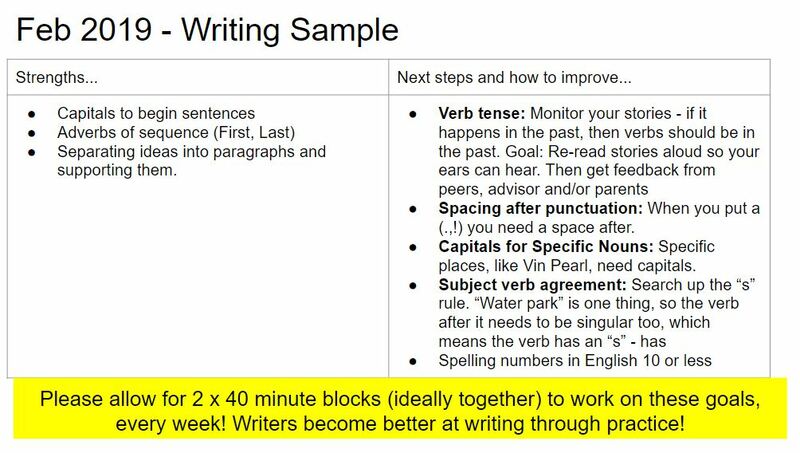 Advisors support them through the writing process, and each term, they report on a different aspect of their growth as a learner. Sometimes it’s math, other times it is their self-directed inquiries. All use the AtLs as a vehicle in which to benchmark their growth. Afterwards, advisors add a comment on the bottom, often just needing to show support for their honest, humble and very transparent reflections. The students writing their own EoLs was and still is one of the many things that I love about my current place of employment under my current role. It’s such a powerful and purposeful form of authentic writing. On that note, I would love to encourage everyone reading this to do the same. Even just once. See what the parents think! Why not have a go?! The letting go is never easy when you are trying to establish a culture of learner agency. However, remember that with the right scaffolding and support, any human can be an empowered and capable agent of their own learning! It’s extremely energizing! If you’re new to agency and/or personalized learning, I’m sure there are still many questions that I have left unanswered. In addition, this is “our way”, and much of the above is even more adapted to make work for my specific advisory. I’m not suggesting that it is “the” way. Always start, collaboratively, with your “why”. Then determine what the “how” and “what” will look like in your context. Agency, in an educational setting, after all is about valuing voice, choice and ownership in one’s learning. A good start would be linking to the concept of this blog post — that of celebrating process, rather than product. Growth does not have to be measured in grades or letters. Things are changing (albeit at a snail-like pace). Heck, even Harvard is pondering the very notion. If you’ve gotten this far, I’d like to thank you for taking the time to read this rather lengthy post! I’ll also leave you with John Spencer’s, less than two minute, amazing video about what happens when students own their own learning (this message and more is also evident in his and Julianni’s astounding book, Empower). 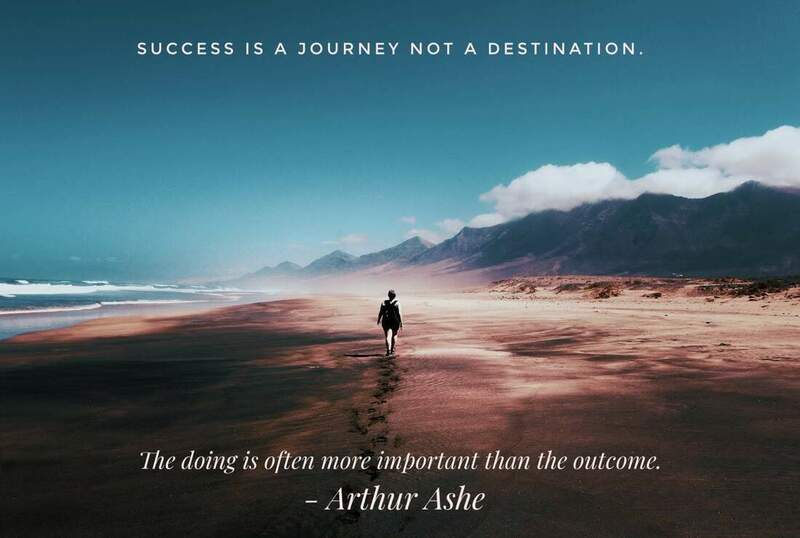 In what ways do you celebrate the journey over the destination? 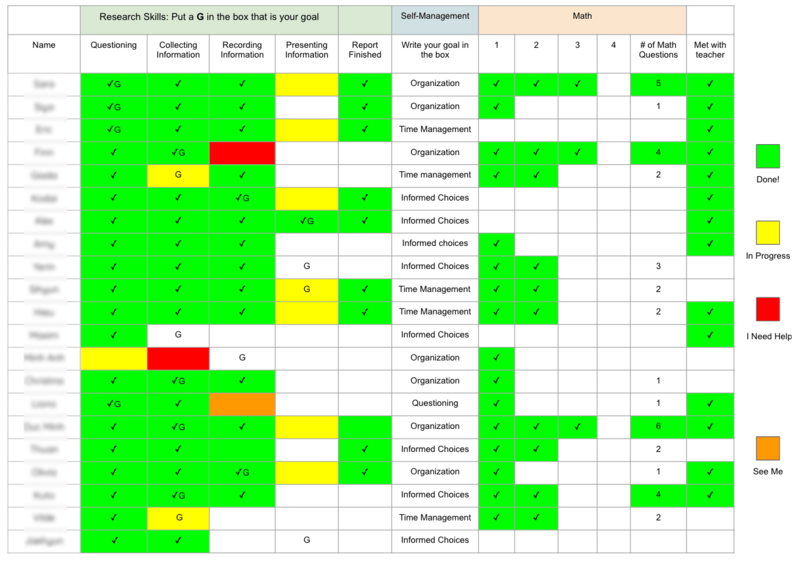 What other ways that you track the growth of your learners beyond grades and numbers? What are some of the ways you’ve “let go” and have introduced learner agency this year? Please add the answers to these, your feedback, comments, and/or suggestions below! I do share ideas on this topic and more on Twitter (@juouelle)! I feel lucky to work in an amazing team of Grade 3 teachers and with support staff at ISHCMC that inspire me, challenge me and work with me respectfully & collaboratively! We have the same vision of where we feel education should be moving and while we deliver lessons in different ways, we respect each other and often learn and build on each other’s ideas. This collaboration led to our most recent unit that was focused on research skills. As I mentioned in previous posts (Studio 3 / Studio 3 & Skillz Studio) our team has been working to shift the focus of learning from knowledge-based to skills based. This was a Where We Are in Place and Time unit (PYP) and we decided that the focus would be on research skills. Students would inquire into people from history during the unit (or into any topic during the provocation and Skillz Studio). They would and learn a lot of knowledge, but the focus of teaching, reflecting and reporting would be on the research skills. Students would explicitly learn how to formulate questions, collect information, record information and present their research findings. Instead of starting the unit by breaking down the central idea and lines of inquiry, we decided not to put them up at all. Instead, we just put the word “Research” on the wall. 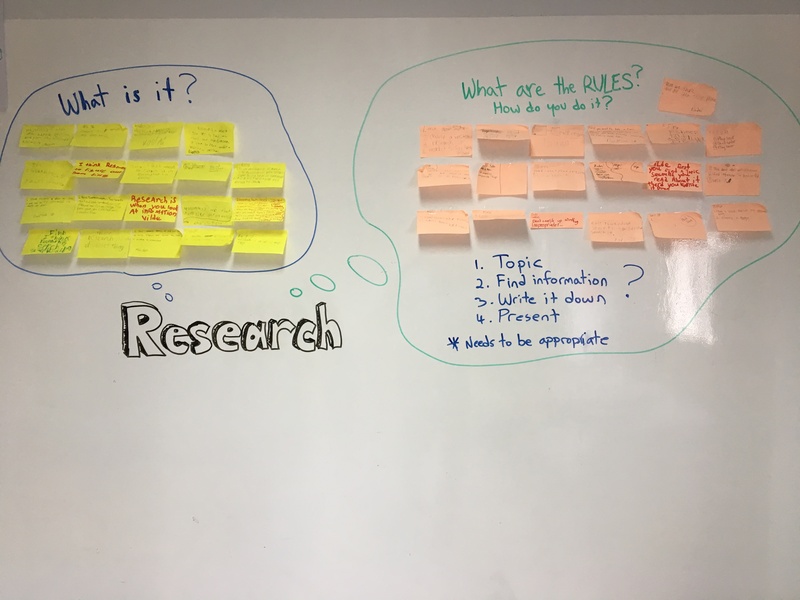 We started by asking: “What is research?” and “What are the rules for research?” We had a bit of discussion and then students each reflected on sticky notes to record their understanding before starting the unit. Then we gave them a provocation – a real provocation. We told them that they would do some research. They would work individually, for 1 week, for 1-2 periods a day, on 1 topic, and have something to share on Friday. How often do we truly let students explore on their own without meddling? I’m not going to lie and tell you that I was hand-off the whole time, but I tried my best. After a few days, we started to see the specific needs this cohort of students had in terms of their research skills. Some areas were better than we thought, while others needed more help. 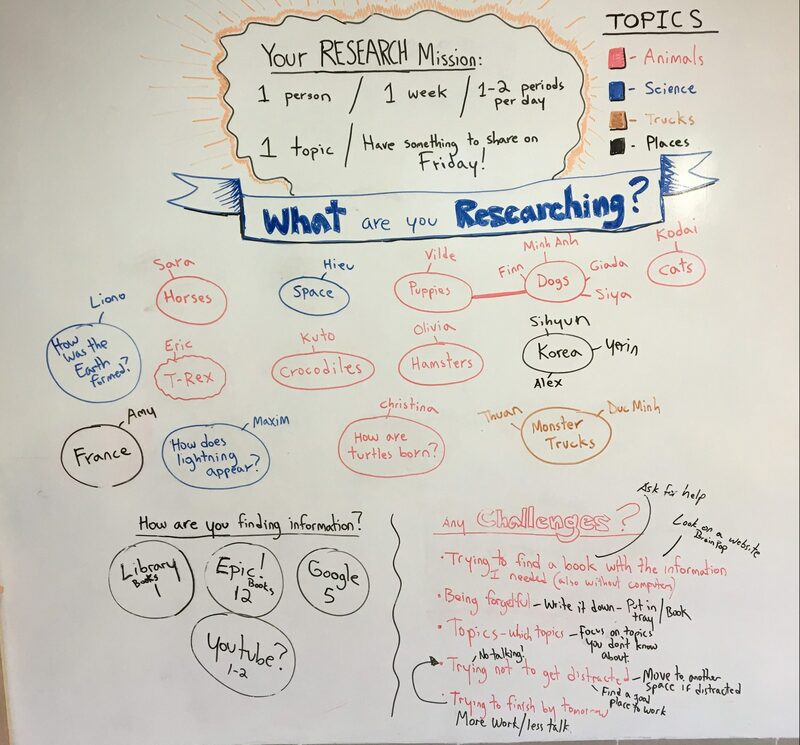 Overall, a big theme we noticed was that they found research easy… because they weren’t researching a specific question, they were reading for information. Instead of letting their questions lead their research, they just let the book tell them information. This actually had us re-evaluate our central idea and lines of inquiry to fit the needs of the students. It also had us re-evaluate the way we were planning on teaching and we thought about new ways to address the specific skills these students needed. > By researching, we can understand about individuals through history. After the provocation was the “meat and potatoes” of the unit. This was the part where we explicitly taught the skills of research. This was a more structured part, where students were still given agency, but where we explicitly taught and practiced the skills needed to research. 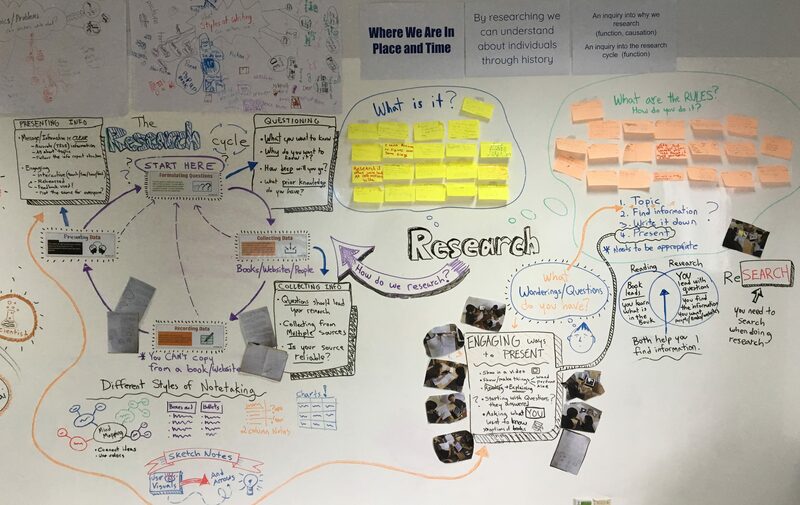 As a class, we developed the specific parts of the research cycle and through the unit explored each one. During the unit, students inquired into different people as a way to structure and scaffold their learning. As I mentioned earlier, through our provocation we discovered that students were not using questions to lead their research, but rather reading for information. While this might seem like semantics, it isn’t. When you research, YOU lead by searching for the answers to your questions. When you read for information THE BOOK leads and you are passively letting the book tell you information. This would be a common thing I would hear – and it’s true. When students did find the information they were looking for though, it led to a very satisfying feeling and they were excited to share it with others. Asked as many questions as we could. Did not stop to judge, discuss, or answer any questions. Wrote down every question as stated. Changed any statements into questions. Initially, we thought we would focus on thin and thick or open and closed questions. As we got into it though, we realized that it wasn’t specifically about the questions, but about the researcher. If the researcher is inquisitive and wants to “dive deeper” then even closed questions could provide a lot of opportunities. For example, How long are shark’s teeth can be seen as a thin question, but the researcher can go deeper by asking if different types of sharks have different lengths? Does that affect the type of food they eat? Instead of snorkeling at the top of the water, we encouraged students to grab their scuba pack and dive deeper down. 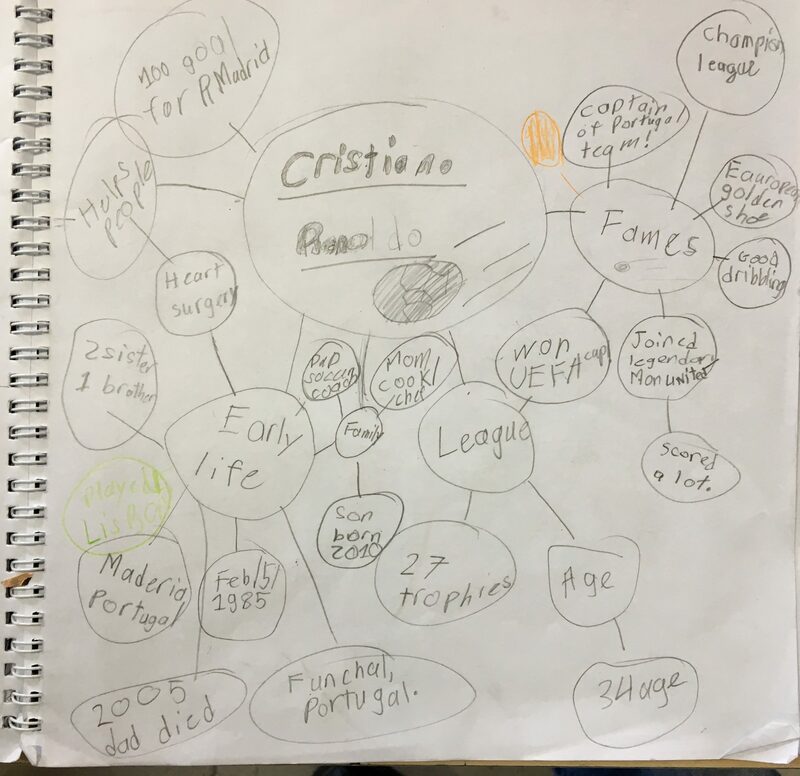 After working on questioning together, students generated their own questions to lead their research into the people they chose to inquire into. We didn’t focus on the types of questions, but on the researcher and how deep or shallow they went with their inquiry. How would students choose the person they will inquire into? Students needed to be exposed to a variety of people to choose from, but we didn’t want to curate a list ourselves. Instead, we had the idea of asking our parent community. We asked each parent for 3 ideas of important people from history who they thought students should inquire into. This not only sparked conversations at home but also introduced us to interesting people from around the world! After collecting all the names, students alphabetized and posted on the wall all the suggestions parents had about who they should research. 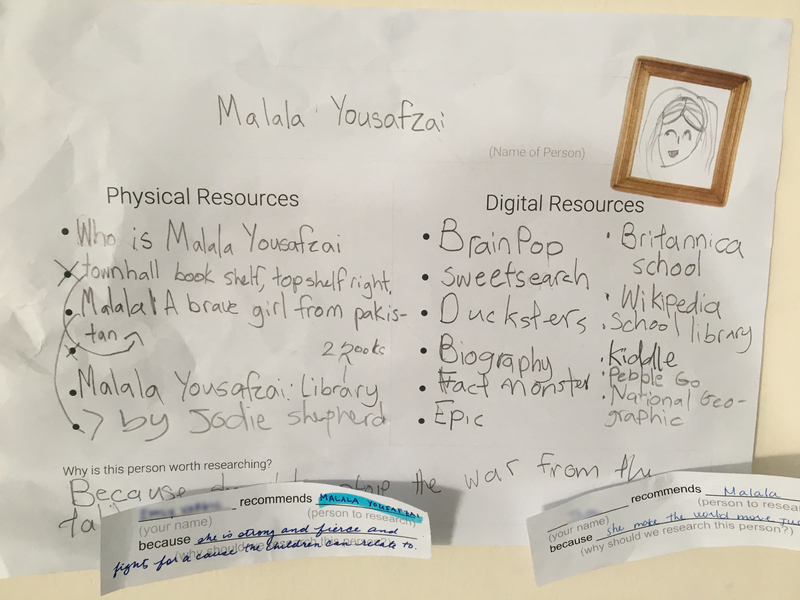 Students then choose people from the wall and completed a sheet identifying the physical and digital sources they could find about that person. 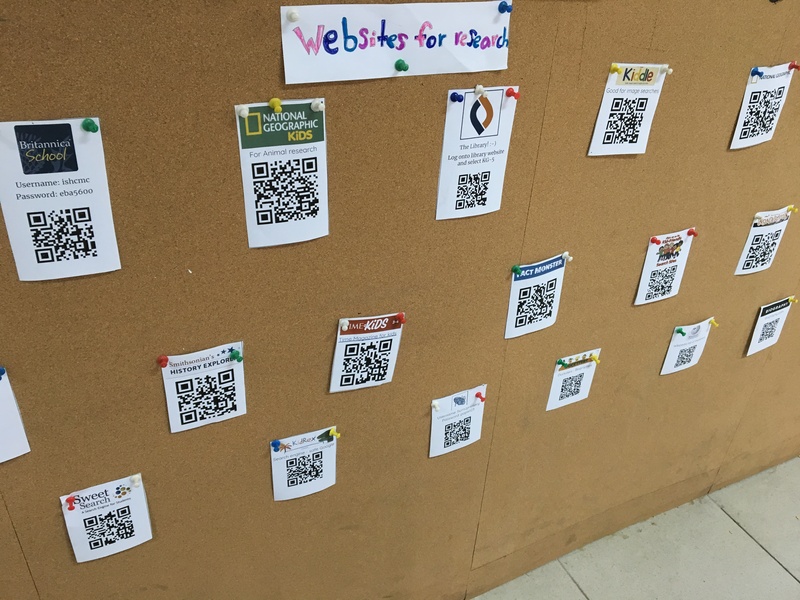 We discussed reliable vs. unreliable sources and curated some places where students might find information using QR codes. We discussed possibilities of interviewing people, if that made sense, and took books out of the library to create our own Grade 3 library (also learning how to search for books remotely). We discussed safe search engines like Kiddle and Kidrex and explored how results came up when searching. We learned about ads in the results and to look at the link to see if it is a reliable source. We talked about skimming & scanning when looking for information and students were encouraged to find information from multiple sources and compare it. Some even found conflicting dates for the birth and death of ancient people and this sparked some interesting discussions. We also discussed legal ways we can use images and how to cite them. Kiddle’s encyclopedia is a great resource for this! Often we expect students to just take notes, but do we explicitly teach them how to do it? Using a shared text and research into sharks, we explored different ways to take notes. 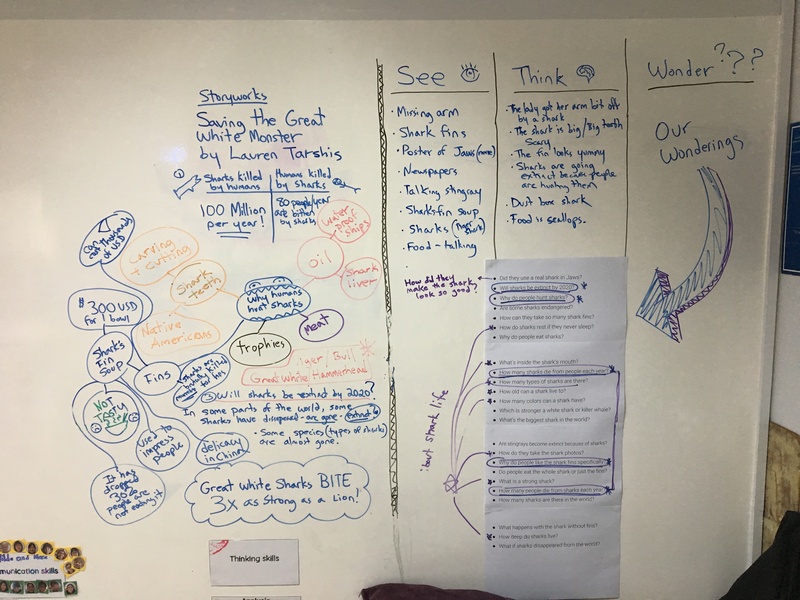 We looked into boxes & bullets, mind-mapping, two-column notes, graphs & charts, and sketch-noting. I modeled each one with our joint text and then students explored and experimented on their own. We discussed which ways worked for them and which they didn’t like using. We did gallery walks to learn from each other and shared tips and strategies. 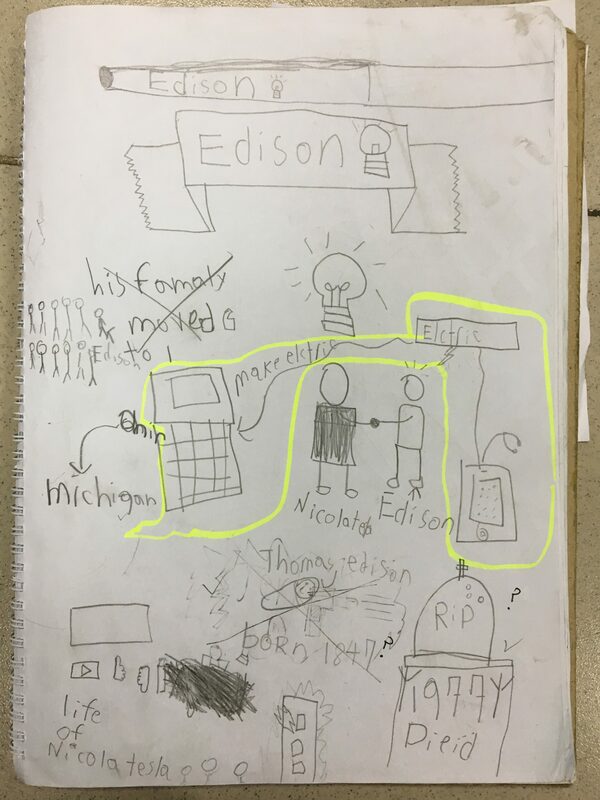 Students really enjoyed sketch-notes and that was probably because we have a resident expert right in Grade 3 with my co-worker Libby McDaniel (‪@wecanbeawesome ). 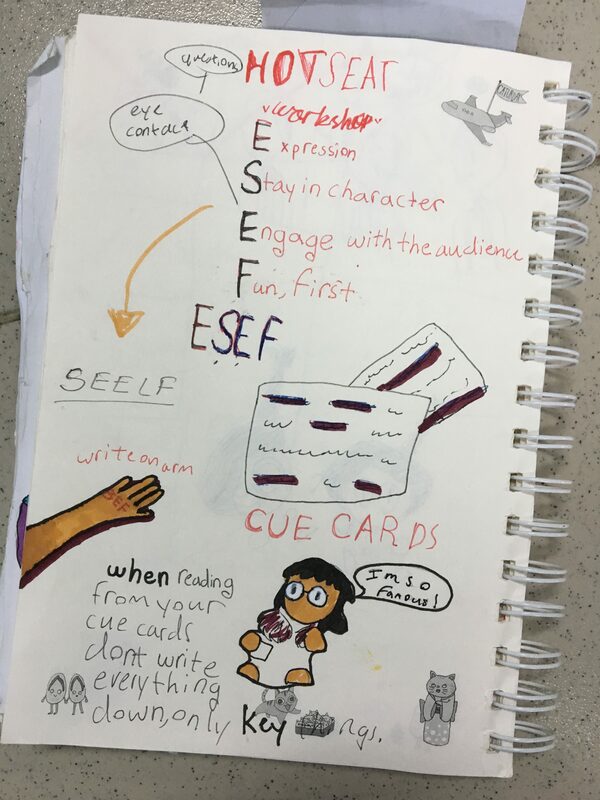 She creates her own personal sketch-noting journals, which are incredible, and inspired many students! In addition, I was inspired by her to try and record the progression of the unit on the class whiteboards and keep the learning visual through the unit. Before diving into “flashy” ways to present our research, we focused on writing an information report. As a class, we jointly wrote one based on the shark research we had done together and then students wrote their own. We gave them a loose structure to follow with an introduction, main body, conclusion, and citations. Not only was this important for students to learn, but it also kept them honest about the amount and detail of their research. 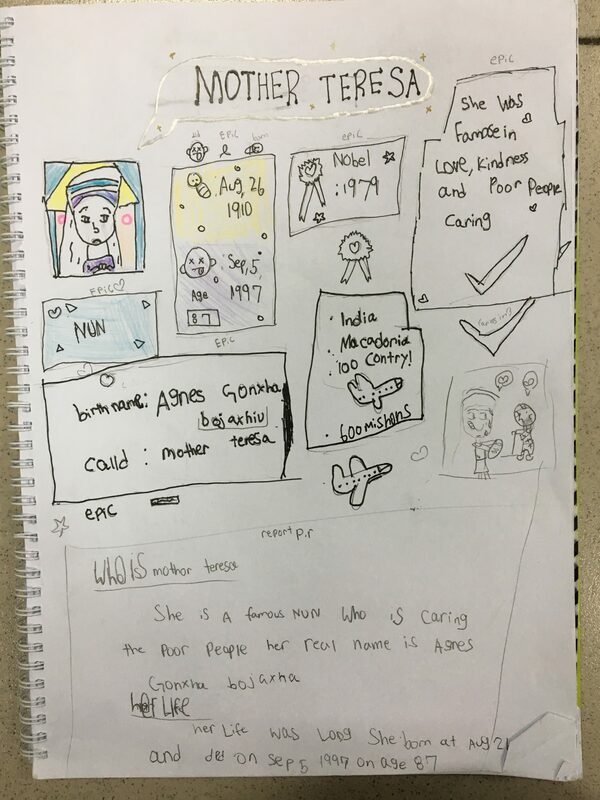 After students wrote an information report, we wanted to spark ideas about other ways they could present their information in more engaging ways. 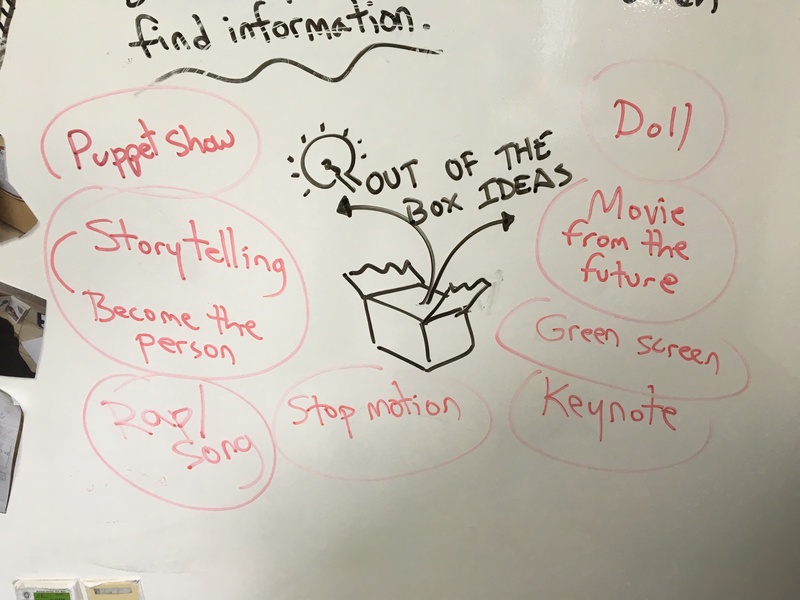 We had a wonderful discussion talking about “traditional” ways to present information and “out-of-the-box” ways. We came up with a wide range of ideas, many of which we as teachers had not thought of previously. Students chose a variety of ways to present information in engaging ways, such as becoming the person in a hot seat, creating games, making movies with green screens, interviewing the person (playing both roles), writing books, creating interactive posters, delivering Keynote/Slides presentations, etc… We met together in small groups with similar ways of presenting and jointly created expectations. This way, students knew what the expectations were and how to challenge and improve themselves. One of my students even changed her whole project after working together in the small groups as she wanted to level-up her presentation! Finally, after students had presented their information about the person they inquired into, we moved on to the “dessert” of the unit (with a cherry on top). Now that the students had time to specifically learn their research skills and practice with guidance, they were ready to go it alone. They had 2-weeks to manage their own time, with some must-dos, but mostly working on their individual research projects. During Skillz Studio, students chose a specific research skill to develop and also a specific self-management skill. Since they had already done two different research projects, they were able to identify areas of strength and growth. They independently worked through the research cycle with a presentation at the end to their peers, teachers and their parents in our community. There were some teacher workshops, but also a lot of student workshops. Again, since students had the chance to go through the cycle two times already, many felt confident enough to teach their peers. 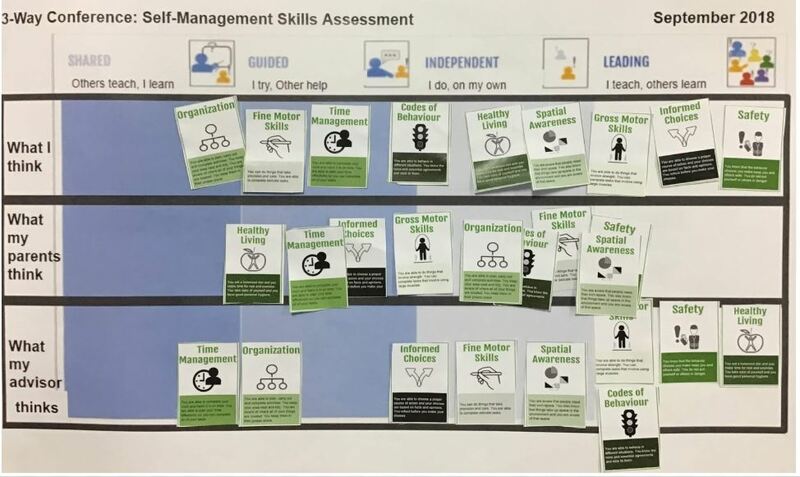 Not only did they focus on research skills, but also on self-management skills (as this wasn’t their first Skillz Studio either). 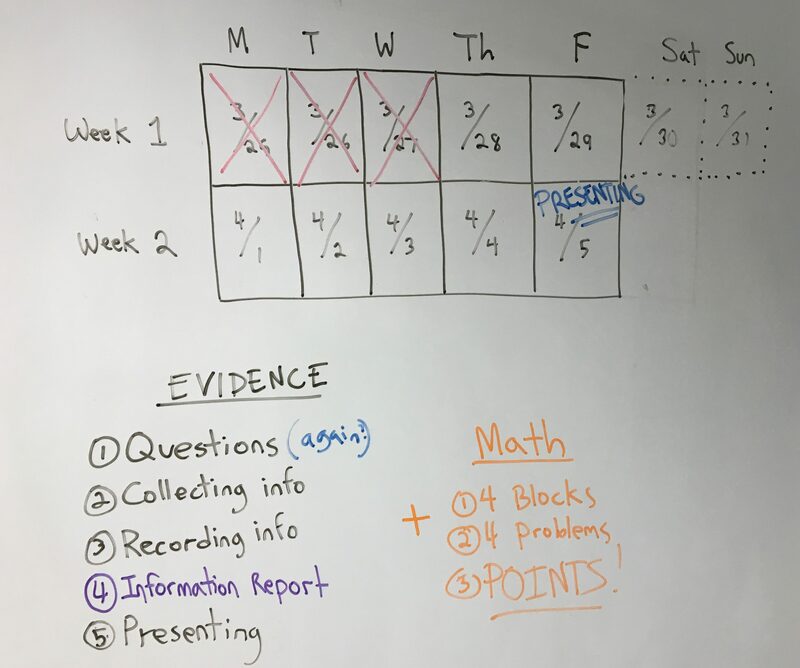 The most difficult parts of helping 21+ students work on individual projects during Skillz Studio are keeping track of all their work & goals, knowing which stage each student is on, figuring out who needs help and with what and helping students manage their time. It is a lot to keep track of and we have been constantly experimenting with different ways and ideas to do so. To manage work, we tried a new idea. We used a shared Google doc with a graph on it that we shared with students. As students completed a section of the research cycle, they would upload evidence on Seesaw and then change the color on the chart (Green for done, Yellow for in progress, Red for I need help). I would then look at the evidence and add a tick mark. If there was a question, I would change the box to orange and talk with them about my concern. It is not perfect but worked quite well as a way to manage the organized chaos and keep track of everything happening. This is something we are still working on, developing and improving as we go. Any new ideas are quite welcome. As a way to help manage goals, I met students in small groups based on their research goals to share strategies and ideas. I would also check in with students based on the graph. In addition, students also met in small groups with people who had the same self-management goals. Students were either working on their organization, time-management or informed choices. As a group, students worked together to come up with some ways that they could be successful during the 2 weeks. Those focused on organization skills made daily checklists and reflected at the end of the day. Those focused on time management skills used timers in short intervals to keep them on task. Those working on informed choices drew icons on their arm to remind them to make good choices about where they sat, to focus on their work and to talk less. Through daily reflections, students decided if these strategies were working for them or if they needed to make some changes for the next day. Managing time on devices can be challenging, even for adults. Brain breaks are encouraged, but when the breaks end up longer than the time spent on the project it isn’t a break anymore, is it? 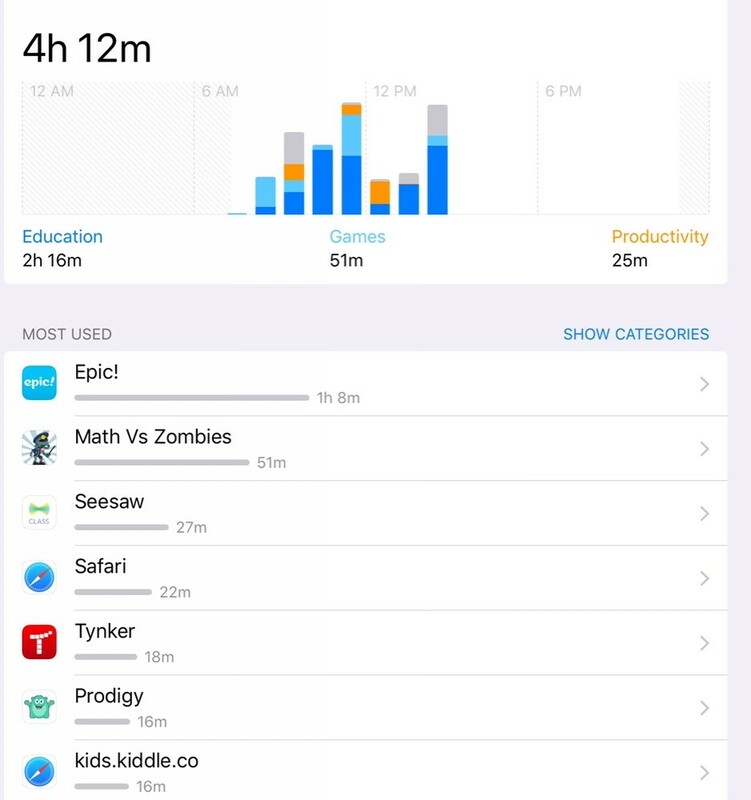 So, as a way to keep track of the time spent on each app when using their iPads, students posted a screenshot of their usage for the day using the screen time app. This was really eye-opening for many students who didn’t realize that they were spending that amount of time doing things that were not helping them along with their project. 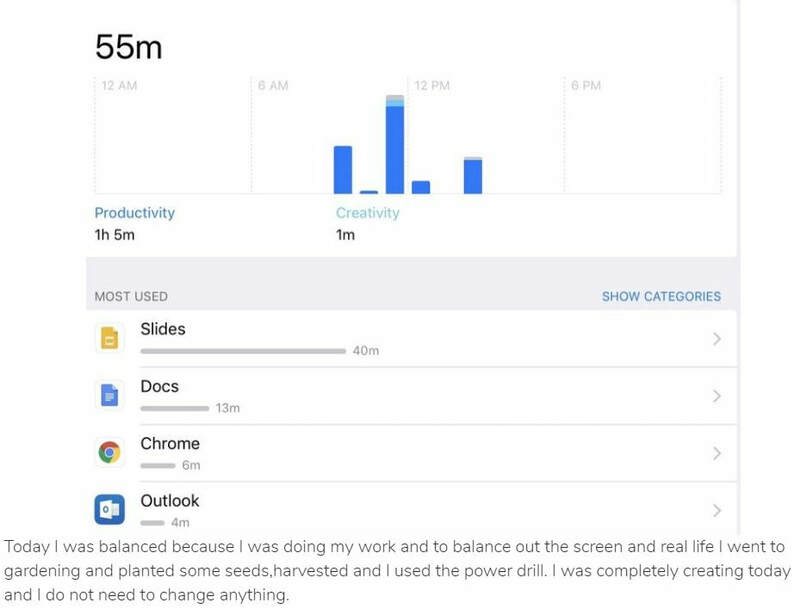 Others used the app to set daily limits on apps, including productivity apps like Google Docs. They wanted to make sure that they were focused when working and this time limit helped them. We also focused on the learning environment. I used to work in a real studio back in my design/advertising days. In a real studio, there is a lot of shared space, but everyone also has their own space where they can work. Some students started to develop their own spaces on their own, and so we decided to encourage this and asked students to re-arrange the room so they could create little areas for themselves to work. They were able to choose an appropriate place to work and focus and were able to leave things they created and made. In the end, we had a Share Fair where students presented their research to the community, in engaging ways. They had all their notes and materials to share as well if anyone wanted to learn about their process. The visitors filled in reflection sheets and shared critical feedback about their presentations and the work they had done. Having a requirement that students share the work they have done is an important part of making the work authentic and allowing the community to decide if the learning was worthwhile and if the students were a success. As in the past, students helped to mark and write their assessment for this unit. We also like to try and have at least one other perspective to balance it (parent, peer or teacher). For this unit, we decided to have the teacher write a part too. Students reflected on their growth and understanding of research through the unit, their strengths and learning targets. As their teacher, I also wrote a reflection, from my perspective. I then met with each student to share my thoughts and observations and we discussed them together, using evidence to support each of our sides. Finally, we negotiated the final marks for each of the research and self-management skills, using evidence. It is not a simple process, but I think it is worth it. I hate being the judge and jury and enjoy working with students to really dig deep and get to the truth. It is going to take some new and different ways to do assessments if we are going to focus on skills. So far, this has been working quite well, but I am absolutely open to suggestions! In the end, I feel that this was a really successful unit and was a good model for how to focus units on skills as opposed to knowledge. It allowed students to learn the skills explicitly and gave them multiple opportunities to practice them. There was incredible motivation, student choice, and variety of topics explored and ways presented. I’m not going to lie and say it was easy or that everyone achieved their goals. While some flourished others struggled, but that is the point. It is always a difficult balance of teaching and support in order to allow students to learn from their mistakes. In the end, it was a really great learning experience for everyone. Not only was there a lot of knowledge learned, but also a lot of skills learned too. We are always tweaking and talking about how to improve for next time. For example, this year we curated websites for the students and touched on search engines. We thought about focusing more on how to use search engines to find information next time. This is a work in progress and as always I am open to suggestions to help improve the learning experience. Last year I wrote about the idea of studio time and opening myself up to agency in learning. This year I am trying to explore agency beyond the limits of studio time. I’m interested in the opportunities for learner agency within and beyond my practice. How can I notice opportunities for learner investment? When does a learner’s natural curiosity provide a potential launch point for inquiry? How do I build my own capacity for noticing and harnessing the inbuilt learning tendencies within my class? 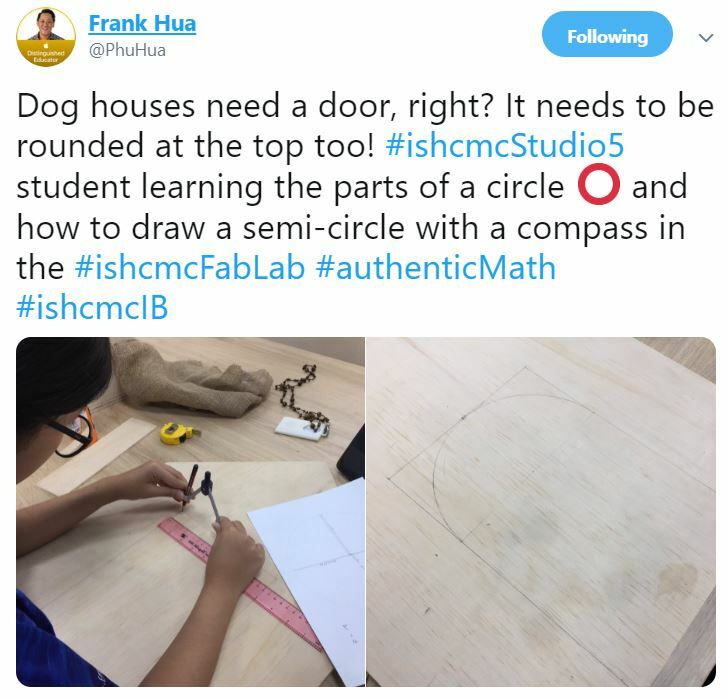 Where, in the past, might I have ignored or worked around the curiosities in the room and continued doggedly towards my curriculum goals? How can I continue to provide quality learning experiences for students but focus on building learner agency within those experiences? In other words, how do I plan a ‘good lesson’; one I know is targeted to student needs, but one that also invites learner agency? With that in mind, I have reflected on an imperfect example of my experimentation with this idea. Our year began with an inquiry (Who We Are) into the actions of individuals in a community and an exploration of character strengths and dispositions. A few weeks in, and as teachers, we are interested in giving students an opportunity to share what they have learned but also experiment with the role of workshop facilitator. What dispositions do they need to apply when planning and facilitating a learning experience for younger students? 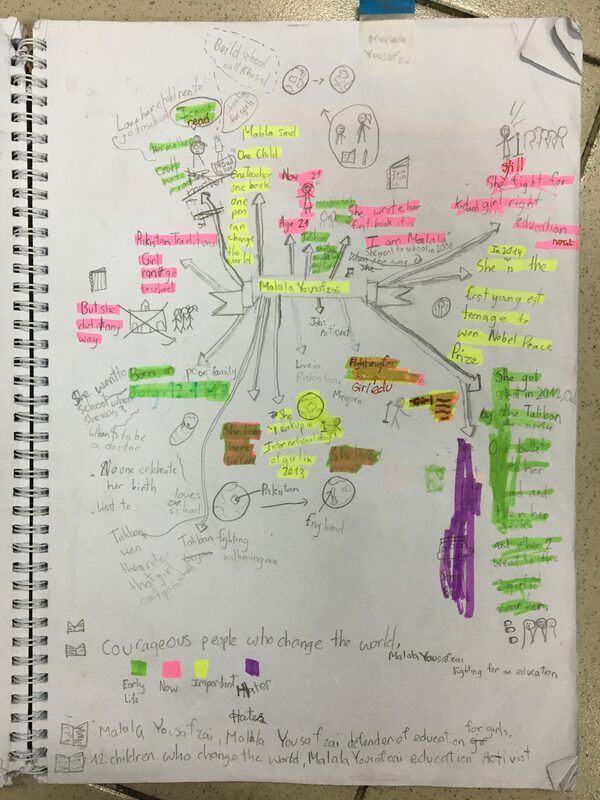 Most students were really excited by the idea and found it to be a positive learning experience (besides a few who complained about having ‘a few disruptive kids to deal with’…pause for my raised eyes and response along the lines of…’that must have been awful for you’). 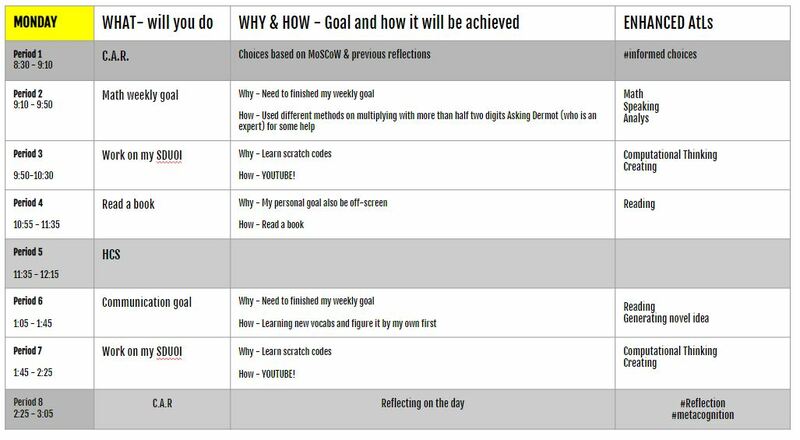 With more future learner-led workshops in mind, I wanted the reflection to also be future thinking. We used Harvard Project Zero’s Compass Points thinking routine to explore what might be considered if we were to do something similar again. As always, when I have a writing opportunity in mind, I find learners have more success when they are able to verbally share their thinking first. So we talked with our thinking partners and shared some responses as a class. Sidebar: How awesome is my handwriting? So then came the pivot point. Questions from the crowd. This is where I would normally have the outcome in mind but now I’m trying to notice the natural direction the learners are wanting to take the piece. Without saying it, I was expecting they would produce a basic list of lifehacks for workshop leaders, or a set of tips for success (which some did). With opportunities for experimentation, stopping and sharing, collaboration and advice giving (to each other), what was written was so much more diverse. The personal voice was better developed. The creativity was strong. The informal sharing provided entry points for idea development amongst learners who were struggling with opening lines or in finding a tone for their piece. We paired with our thinking partners again. Here is where I got a bit too experimental. So this is where I would do something differently if I had lesson over. Duh. The WHOLE writing section of the Australian Curriculum. HAHAHAHA!!! As if. Perhaps an abridged set of learning outcomes? Or even better, a co-created resource describing author skills. What it did do, however, was provoke and generate a whole range of questions about what is in the curriculum. Another agentic moment noticed. Now…what to do with it? I was able to use the opportunity to develop metalanguage for what they were describing as a need. For example, “I want the paragraphs to flow into each other in a way that makes sense”. Ahhh, cohesion. Notice, name. So they didn’t really use the curriculum on the board which means they know what they need. What are the possibilities? Where could we go? optional publishing of the pieces for REAL audiences (year 4 students who will plan their own workshops)? filming of the TV ads during studio time?